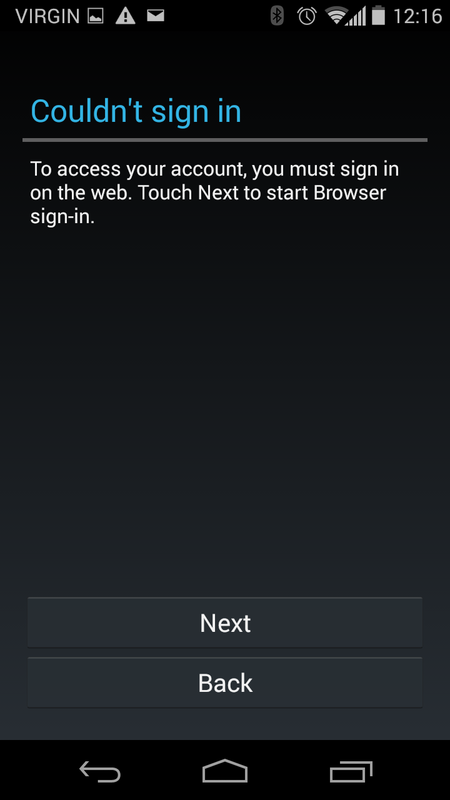 By default, PicsPro for Picasa uses the Google accounts and the authentication mechanism of the phone. 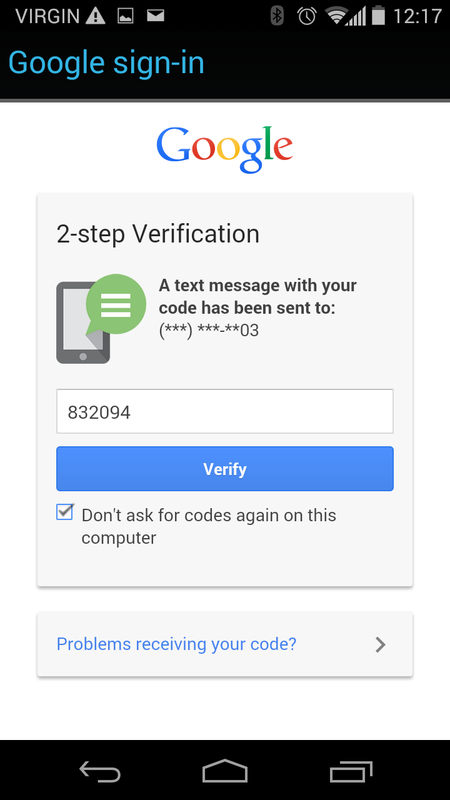 However, if you enabled "2-step verification" to your Google account, things can get a bit more complicated. Here are two ways to use an account with 2-step verification in PicsPro. The Android OS will show the screen below. Press "Try again". 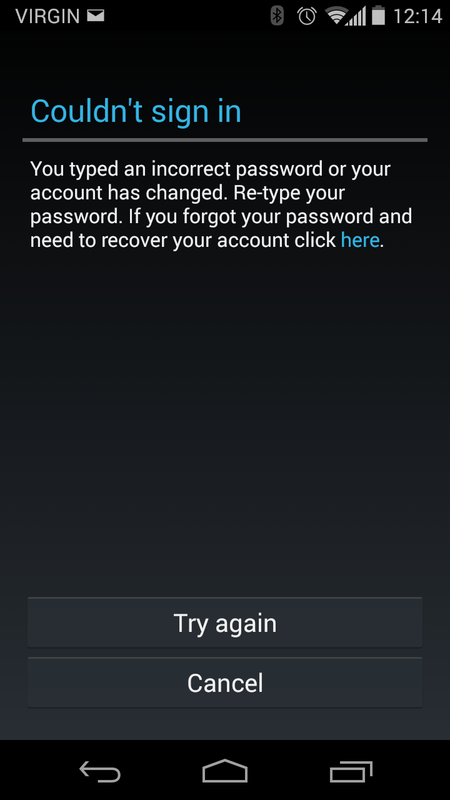 Android will not be able to authenticate yet due to the 2-factor verification and it will show the screen below. Press "Next". You will receive a verification code through SMS. Enter this code in the screen below and press "Next". 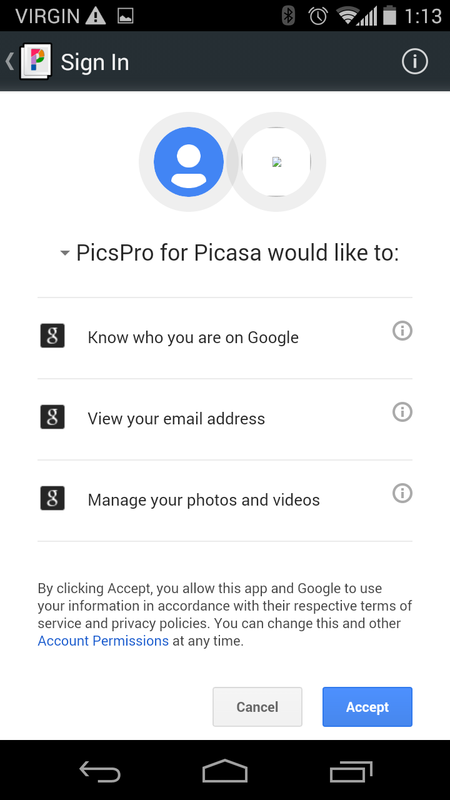 From now on, your Google account will work properly with PicsPro for Picasa. 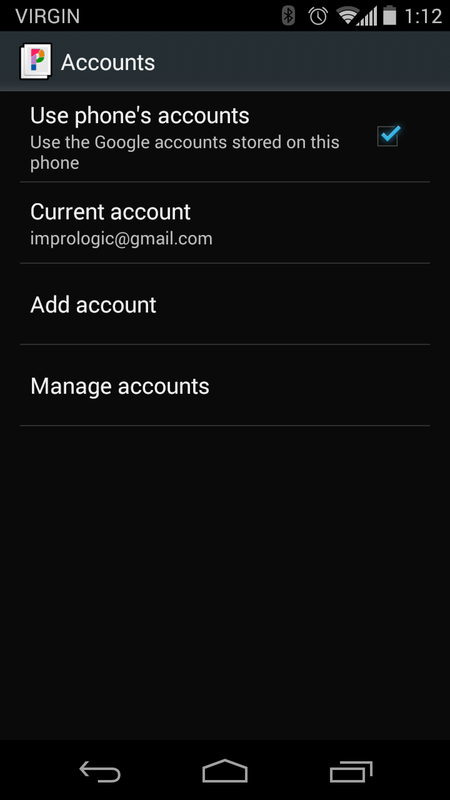 In PicsPro, go to the app's Settings -> Accounts and deactivate the "Use phone's accounts" option. 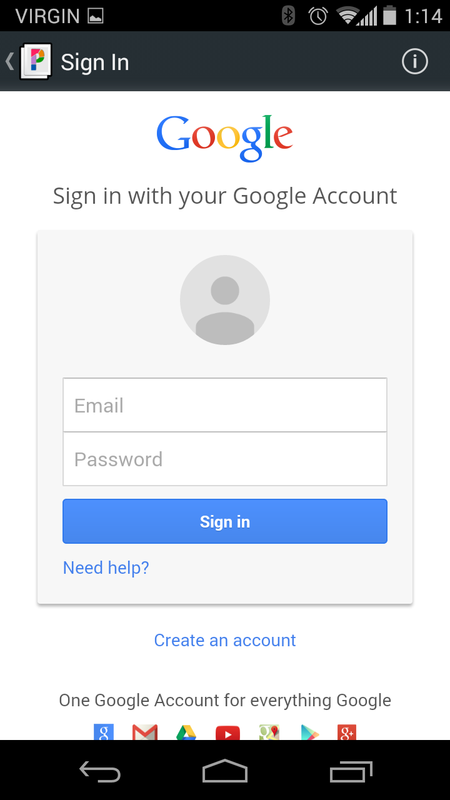 You will be presented with the regular Google login screen. Type your email and password and press "Sign in". 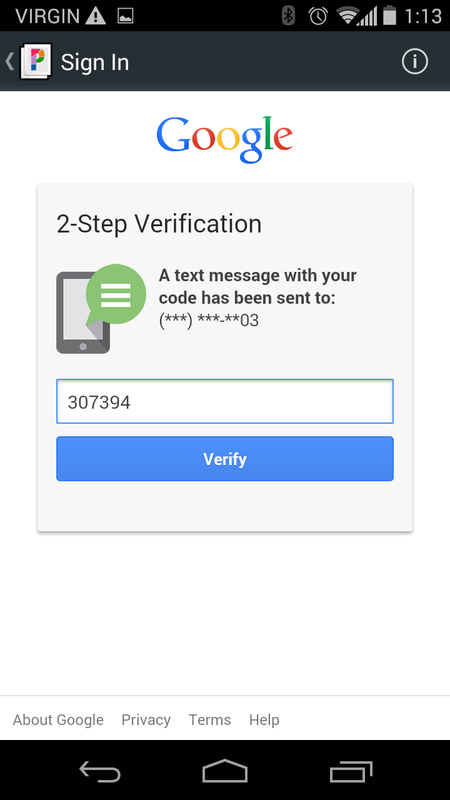 Google will send you a verification code by SMS. Enter it in the next screen. 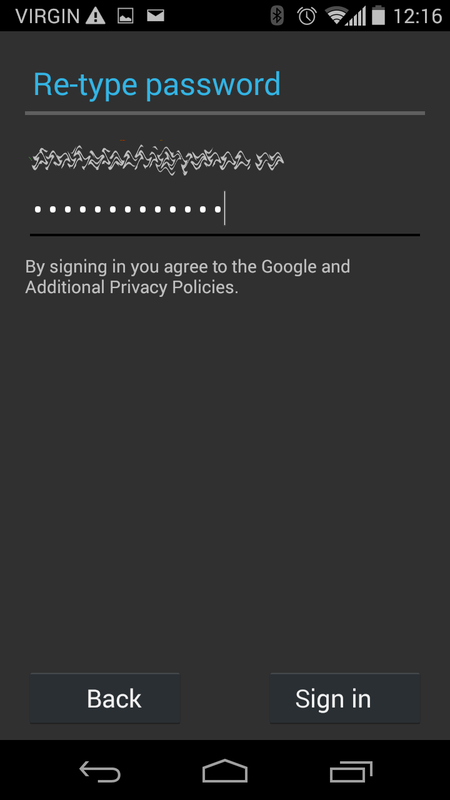 Google will prompt you to allow PicsPro to access your photos. Press "Accept". And that's it! From now on, you can use your 2-step verification account with PicsPro for Picasa.